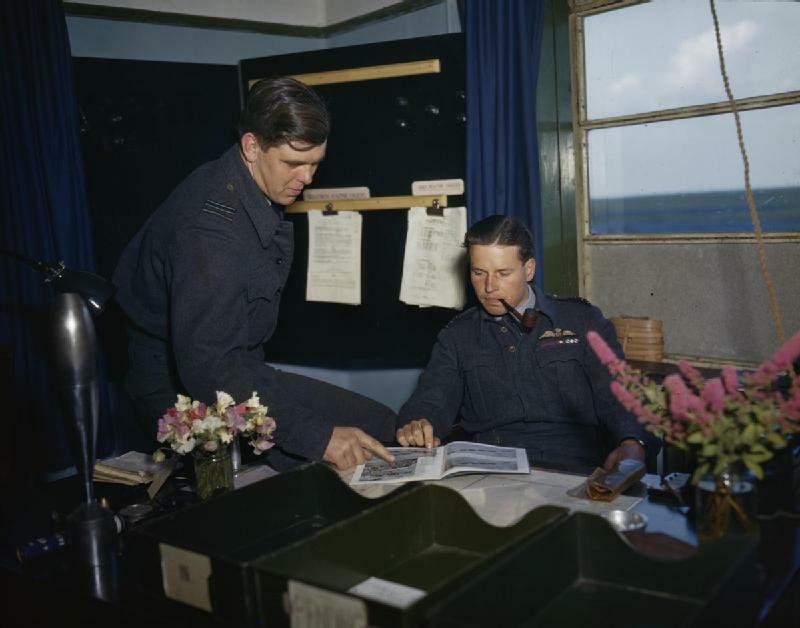 Wing Commander Guy Gibson of Dambusters 617 Squadron sits at his desk at RAF Scampton in Lincolnshire with fellow dam buster Squadron Leader Dave Maltby. The picture was taken by an official RAF photographer on 22 July 1943. The book looks at the development of the bouncing bomb and the intense wrangling within the RAF that almost stopped it from getting off the drawing board. It also reveals the truth behind the mysterious air crash that one year later cost Gibson his life, including why the RAF chose to keep the actual cause of the crash a secret. Heroes and Landmarks of British Aviation by Richard and Peter Edwards is published by Pen and Sword. Read the first chapter at Amazon’s Kindle store. The book tells the dramatic story of Britain’s aviation industry from the earliest pioneers to the government nationalisations that fashioned its destiny. The heroes are Britain’s most innovative aviators, those who persevered to be the first into the air, to fly the highest, the fastest and the furthest.